With first-rate eye doctors and leading-edge diagnostics, we serve Auburn, WA, with superior vision and eye care services. As a family-friendly practice, we provide primary eye care for patients of all ages, from infants to seniors. Our Auburn optometrist takes pride in considering each individual’s unique needs to offer personalized eye exams and treatment. In sum, top-notch qualifications, expert experience, modern technologies, and warm compassion = dependable, high-quality eye care! Contact our Auburn eye doctor to schedule an appointment; in case of an eye emergency, call for immediate assistance. Our eye doctors use the latest diagnostics and precise skill to perform detailed eye exams of visual acuity and eye health for patients of all ages. We will check closely for any signs of abnormality or ocular disease. When it comes to managing eye disease, your Auburn eye doctor will advise you on how frequently you should visit for follow-up exams. This is the most reliable way for us to monitor your condition for changes to determine if your treatment plan is effective. Our team specializes in proactive management of ocular disease because we want you to enjoy clear, healthy, and long-lasting sight! Diabetes poses an increased risk of eye damage. If you have diabetes, regular eye exams are essential. We will inspect for any signs of a problem. Our Auburn optometrist will partner with your physician and convey information about any ocular changes. We look out for your vision and overall health! After our Auburn eye doctor performs visual acuity testing, we will issue a detailed vision prescription. Then, we will discuss your various options for vision correction, including glasses and contact lenses. The final decision will depend upon a number of factors, such as how you prefer your appearance, lifestyle needs, visual requirements, and eye health condition. If you want eyeglasses, choose from our stylish array of designer frames! Patients who like the convenience and au natural look of contact lenses can purchase from our wide selection of premium lenses, including specialty and hard-to-fit contacts. If you are interested in learning more about revolutionary orthokeratology and corneal reshaping therapy, our Auburn eye doctor specializes in fitting ortho-k lenses; ask us for more info. What is there to see in Auburn? Auburn, WA, a suburb in the Seattle metropolitan area, is best known for its wide-ranging network of parks and trails. And no matter where you stand outdoors in Auburn, you are likely to be treated to a fantastic view of Mount Rainier. There are 34 developed parks, about 387 acres of open recreation space, and over 26 miles of biking, running, skating, and walking trails. One of our favorite parks is the Flaming Geyser State Park, where you can hike to see two fascinating geysers: the bubbling geyser and the flaming geyser. Come prepared with some matches to activate the flaming one! You can also go tubing or swim in the river that runs alongside this park. The Soos Creek Botanical Garden is a small-scale park that displays tremendous beauty! Walk the peaceful paths of these landscaped gardens to see a gorgeous show of colorful blossoms. Spend a fun Sunday afternoon in Auburn, WA, at Emerald Downs watching horse races and Weiner dog races! We enjoy taking a seat at one of the umbrella-covered tables by the track and sipping an ice-cold drink. During downtime, you can approach to get an up-close and personal view of the horses. To escape indoors for an entertaining experience, catch a show at the Auburn Ave Theater. This performing arts venue features a great variety of live events within a historic structure that dates back to over 80 years ago. The White River Valley Museum is a sparkling gem that merits a good look by anyone who loves history! There are many permanent, experiential exhibits about local lore, as well as engaging temporary exhibits, such as a display all about the Sasquatch. Go back in time to see how the regional pioneers lived – you can stroll through a cabin, schoolhouse, train, and charming traditional shops. 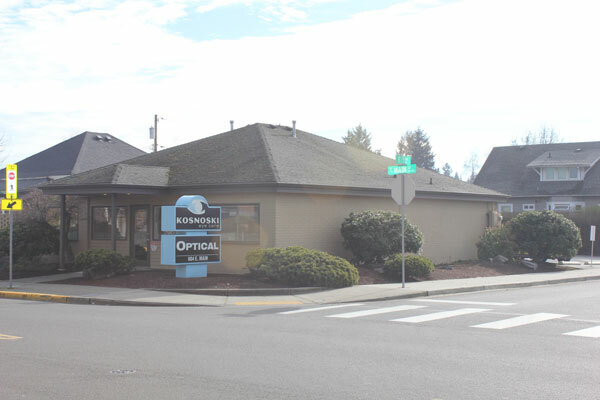 As you gaze around the sites of Auburn, WA, our eye doctors look forward to seeing you!